Favourable outlooks for broad Europe and emerging markets drove strong flows into non-US equity ETFs in April. That was the major insight that global fund provider BlackRock reported in its latest ETP landscape report, according to ETF Strategy. ETFs with risk-on European exposures enjoyed US$3.6 billion in inflows from global investors, adding to gains worth US$4.9 billion in March. “Flows into European equities continued, seemingly spurred on by the French election first-round result and consensus-beating earnings numbers,” said Patrick Mattar of the iShares EMEA capital markets team at BlackRock. He also noted that April was the first month since 2015 wherein flows into US-domiciled European equity funds outpaced flows into their European-domiciled counterparts. April was also the third month of net-positive inflows for emerging-markets equity ETFs, with the segment gaining US$3.9 billion. According to Mattar, the three-month uptrend confirms a re-strengthening of confidence in the region following three months of outflows, which were presumably precipitated by US president Donald Trump’s protectionist pronouncements in November. 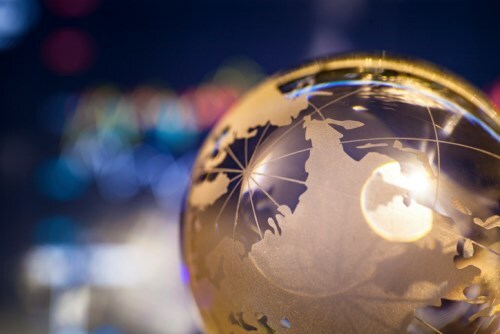 April saw inflows into European-domiciled equity ETFs (US$1.29 billion) continue to surpass those into fixed-income ETFs (US$1.27 billion), though the gap has shrunk considerably. Over the previous 12 months, European equity ETFs enjoyed US$40.2 billion in inflows, compared to US$21.6 billion for European bond ETFs. Looking at fixed-income funds overall, BlackRock reported inflows amounting to US$11.6 billion — the fourth consecutive month of net gatherings exceeding US$10 billion for the sector. The best-gaining asset classes within the group for the month were emerging-markets debt (US$2.3 billion), investment-grade corporate bonds (US$2.1 billion), and US Treasuries (US$2.0 billion). The report also uncovered an apparent divergence of views on US equities, with European investors overall shunning them in favour of European equity ETFs.